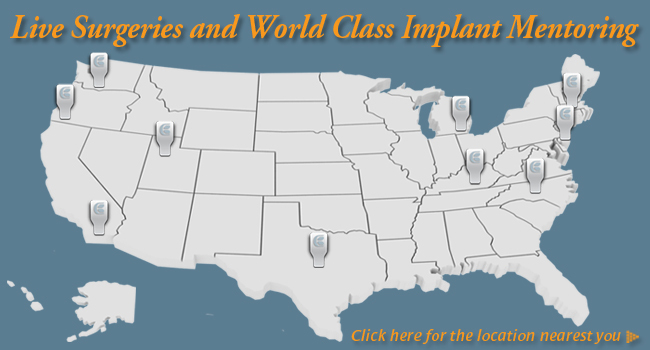 Engel International Institute (EII) offers world class implant mentoring at 11 locations nationally and internationally with further expansion on the horizon. Engel International Institute’s inspiring course provides an unsurpassed occasion to not only learn implant dentistry, but how to immediately integrate this treatment option into your practice. This live, hands-on course entails two pre-surgical days, highlighting strategies for safe and predictable implant placement, followed by a third day where all attending dentists will have an opportunity to place implants on preselected “live” patients! This entry was posted by Dental Continuing Education on February 25, 2011 at 10:28 am under Implant Positioning. You can leave a response, or trackback from your own site. Follow any responses to this entry through the RSS 2.0 feed.